We’ve been following songwriter extraordinaire James Day since the early days of SoulTracks, and SoulTrackers have made him one of their favorite independent artists. He’s consistently delivered top notch material over the years and has amassed an amazing set of collaborators to turn those songs into recorded magic. For his first album since undergoing cochlear implant surgery to address hearing impairment, James chose the decidedly upbeat concept of an all dance record. Groove Nights is a fun romp from start to finish, and features production by guitarist supreme U-Nam. And, as usual, James brings along an all-star cast of singers to make the album even more special. They include Cheryl Pepsii Riley, Maysa, Glenn Jones, Audrey Wheeler, D-Train, Tony Terry, Sandra St. Victor, Tim Owens, Karen Bernod and more. It's a great change of pace that is sure to get his many fans moving. We're proud to present it as our new SoulTracks Featured Album. 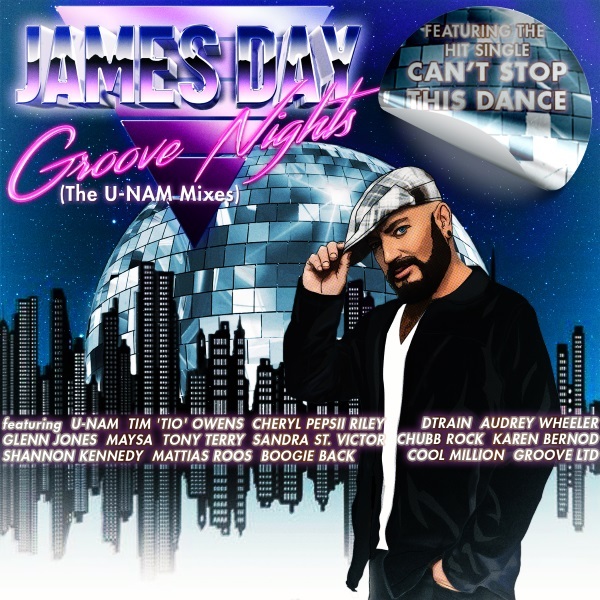 So check out Groove Nights below and welcome back James Day! Click below to check out "Groove Nights"